Thanks to Airbnb, a website that lets you book stays with locals, I didn’t book a hotel for nearly 3 years! 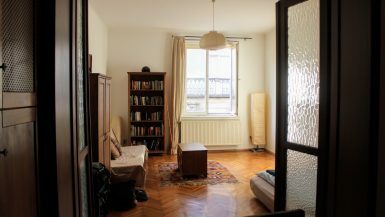 Over the past four years of using Airbnb, I’ve figured out a few “hacks” or tips for using it in the best way possible. Below, I’ll share my money-saving tips, including how to get an Airbnb discount. Follow these Airbnb tips and you could save hundreds of dollars on your next bookings! 1. You can negotiate the price of an Airbnb. 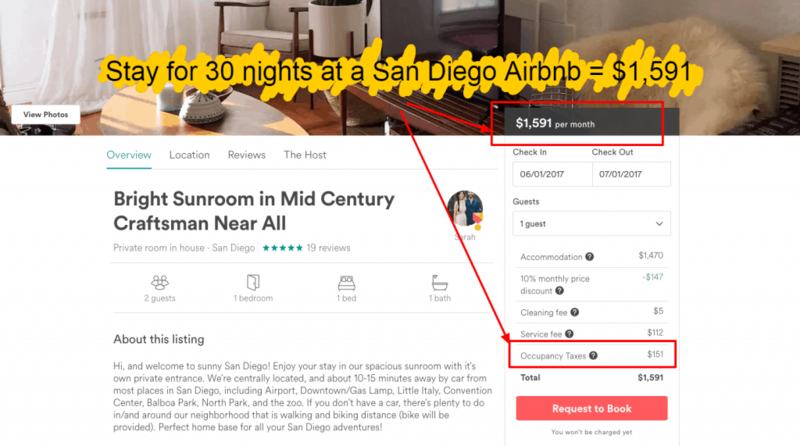 Most Airbnb guests don’t know this: There is something Airbnb hosts can use called a Special Offer, which is essentially an Airbnb discount hosts can choose to send you. Hosts can only send you a special offer if you first send them a message with specific dates in mind. Therefore, you could haggle on the price by NOT clicking “Request to Book” but clicking “Contact this host” and putting your stay dates. 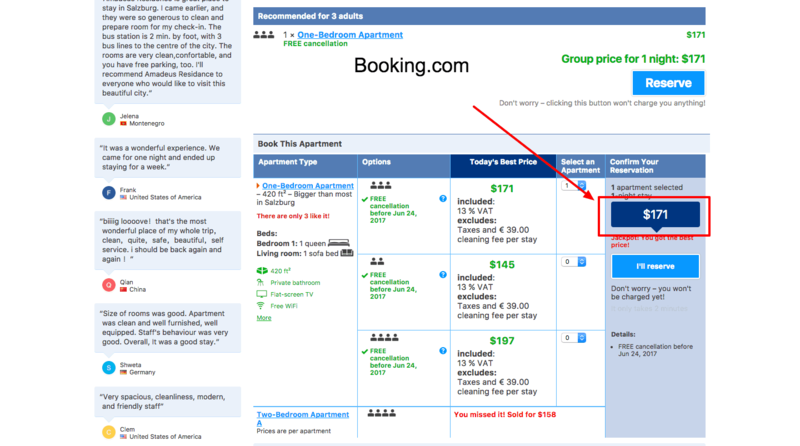 If you click “Request to Book,” you will likely get approved for the listed price. If you do “Contact this host” you could get “pre-approved” but not have to pay yet! Use this with caution, and do it respectfully. Remember that, unlike hotels, Airbnbs are typically owned by locals who are renting out rooms in their own homes. Many of them do rely on that rental income, so be considerate. You’re planning a longer-term stay with them. 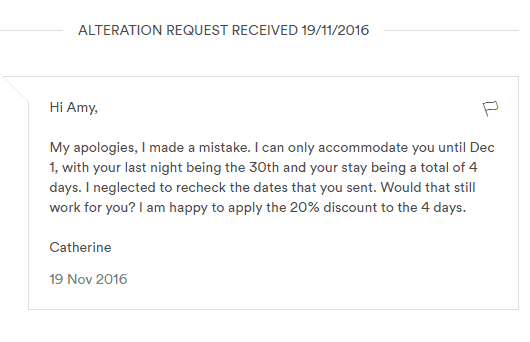 It’s probably not worth anybody’s time if you’re only booking 1 night with the host and want to bring the price down. You’ve messaged them introducing yourself and taken time to get to know them. You’re booking last-minute. Think like a business owner/landlord: You don’t ever want to have unused inventory (empty rooms) because that means you lose money! If it’s just a few days before your stay, it is very likely your Airbnb host will consider lowering the price so they can get that room filled. This may not work, however, if it is high season in a very touristic place; in those cases, your Airbnb host may be more confident they can get the room booked, even at the last minute. And in case you’re wondering, yes, these is totally legal and in line with Airbnb’s Terms of Service. In fact, it’s built right into the platform. 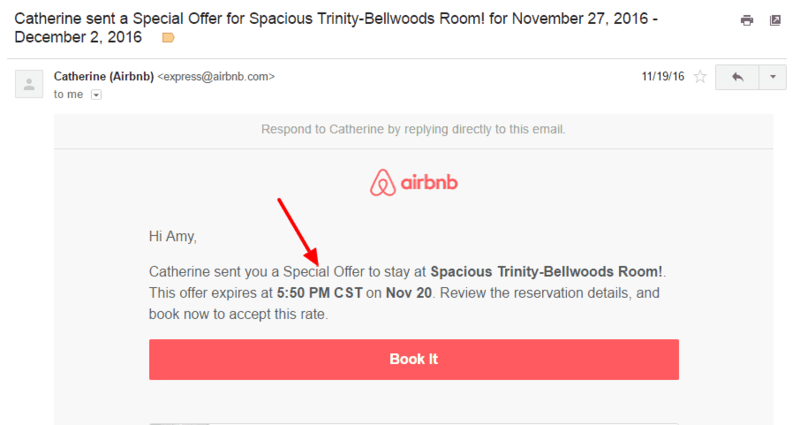 Airbnb guests don’t know this, but Airbnb hosts have the option of sending what’s called a “Special Offer” to you through the site to get you to book their space. Few people know about this, which makes it one of my favorite Airbnb tips! Step 2: Enter the exact dates of your stay and the number of guests. Step 3: Write a message about yourself and why you want to stay with the Airbnb host. DO NOT ask for a discount…YET. Step 5: Once you are pre-approved for an Airbnb stay, message the host again and ask if they’d offer a discount/Special Offer. I’ve only tried to haggle on an Airbnb’s price two times, and one time it worked. 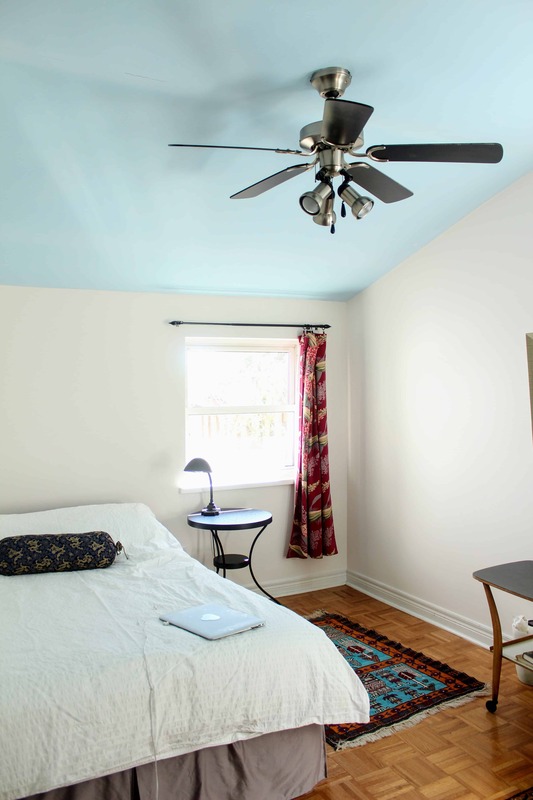 I was scrambling to find a place to stay last-minute for one week in Toronto. I had found an ideal apartment, but it was a higher price than some other ones I was looking at. I had already messaged the Airbnb host before and she had pre-approved me for a stay. I decided to take a chance and ask if she’d offer me the apartment at a lower rate, since it was such a last-minute request. She agreed! And in case you’re wondering, no—she did not leave me a bad review because of it. Below is an excerpt of the messages between my Airbnb host and me as I tried to get a special offer (discount) on my stay. Note that the reason I felt I had some leverage was that I had tried to book for dates that were shown as available on her calendar—but she hadn’t updated her calendar, so those dates were not available. Also, I was booking extremely last minute, just days before. So she needed to fill the space quickly. Another time I tried to haggle on an Airbnb and it didn’t work out because I was booking about a month in advance for a peak season time. The host kindly let me know that he was sure he could fill that space due to the time of year, so he wasn’t able to offer a discount for that time. I still ended up booking with him, and it was a great stay! 2. You may be able to find the same listing for cheaper off-site. 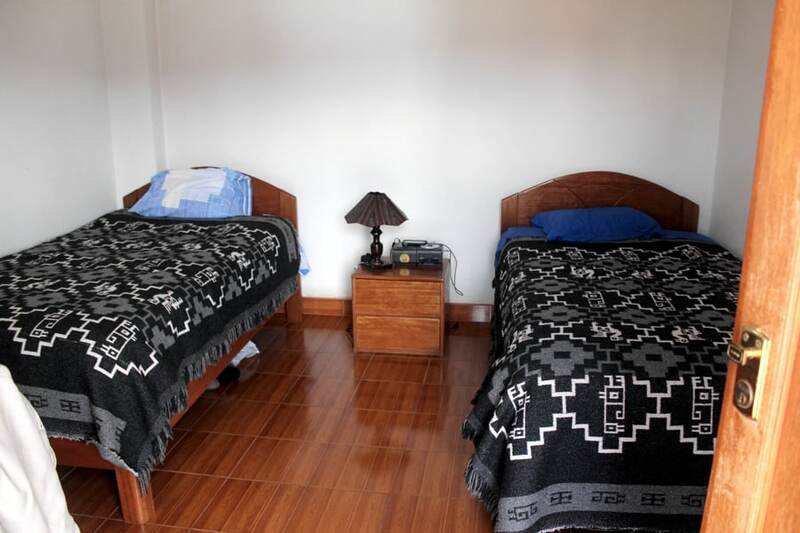 Many of the bigger operations (such as family-owned hostels) publish their listings in multiple places. Oftentimes, a room listed on Airbnb costs you more than that same room listed on the hostel’s site. This is actually typical anytime you book through a third party. Why? The owner of the property has to make up for the fact that the third-party site takes a cut of the revenue. That’s why you’ll often see hotels and hostels asking you to please book directly through their site—they make more because they don’t lose a portion to fees/commissions to a third party. Here’s a great example. 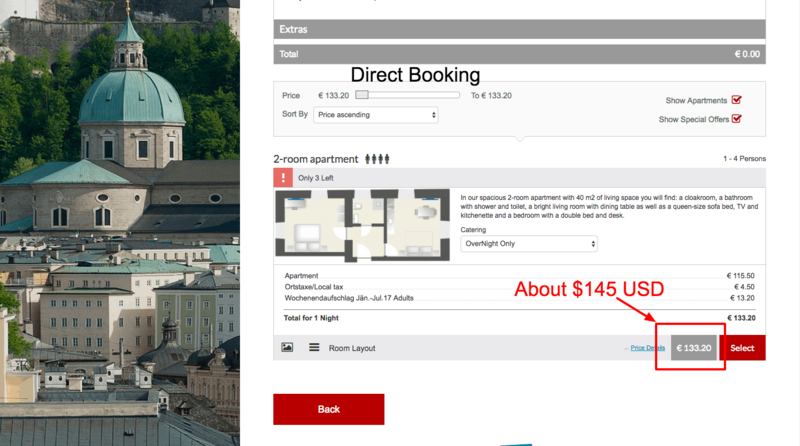 My friends and I were trying to book an apartment rental in Salzburg, Austria, with Amadeus Residence. Originally, I booked the apartment through Booking.com. Then I realized it was listed on Airbnb. 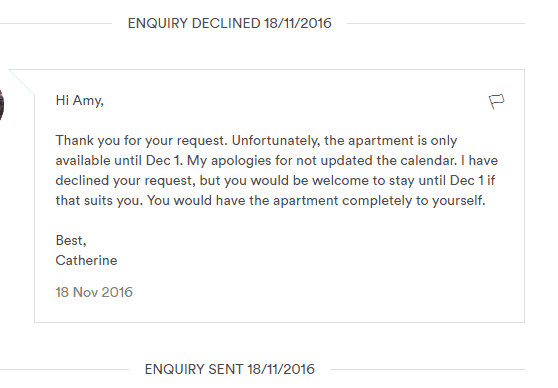 In the end, I canceled my Booking.com booking (it was a free cancellation policy) and booked directly with Amadeus Residence. That’s right, I saved $88 on the SAME apartment by booking directly with the property. This is not typical though, as most Airbnb hosts are individuals and not companies, and I only found this company through Booking.com and later discovered they were on Airbnb too. 3. You can get pre-approved just by sending a message. 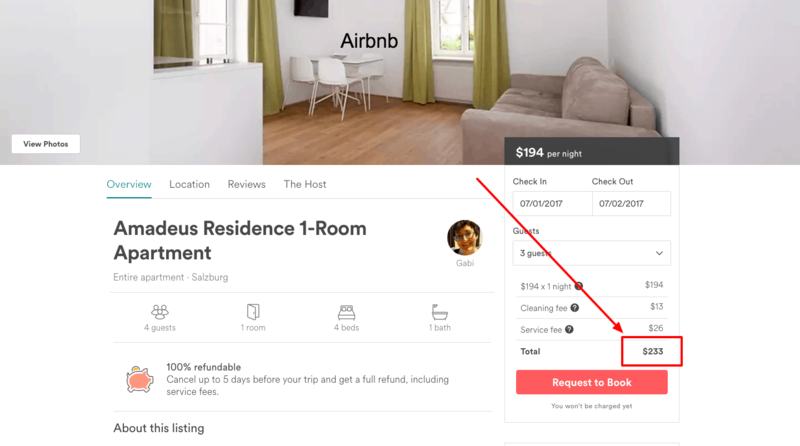 When you send a “Request to Book” on Airbnb, you WILL be charged immediately if the host accepts your request! That’s why you should only send a request if you are SURE you want to stay there on those dates. BUT you will also see a button that says “Contact host.” When you try to contact a host, Airbnb will force you to put the dates of your potential stay. So even if you’re just contacting them to ask if the room is within walking distance to the train station, you still have to put your dates of your stay. This means that when a host gets your message, they may go ahead and pre-approve you for the stay. In my experience, whenever I’ve messaged Airbnb hosts to ask questions, they have almost always gone ahead and pre-approved me. 4. Sometimes it’s actually CHEAPER to book more nights than you need. If the Airbnb offers a weekly or monthly discount. Many Airbnbs offer discounts for longer stays. There are weekly (7 nights) and monthly discounts (28 nights or more), so check the Airbnb’s listing to see if that host offers those. In some cases, it may be cheaper to book 7 nights versus just 6, or 28 nights versus just 27. If the city the Airbnb is located in has a hotel or occupancy tax. Another thing that may make it cheaper for you to book extra days than you need is if the city the Airbnb is in levies a hotel tax on the Airbnb host. 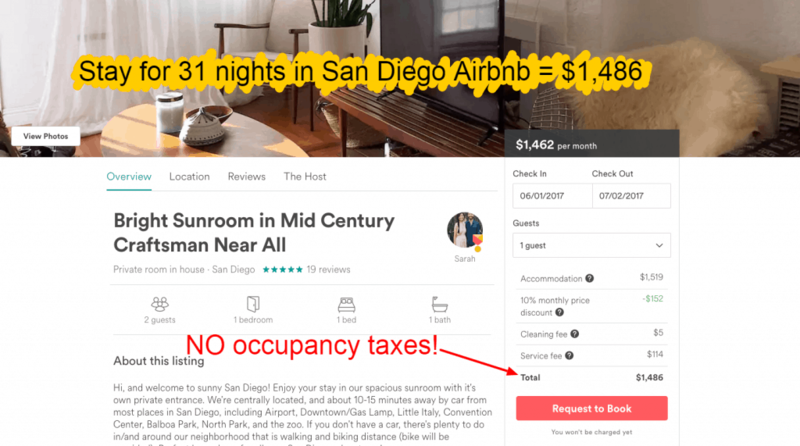 In San Diego, the city charges you 10.5% Transient Occupancy Tax tax for stays of 30 nights or shorter. That means, depending on the monthly discount (if any) of the Airbnb property and the number of nights you planned on staying, the overall price may be cheaper if you book some extra nights. BUT if you go ahead and book this Airbnb for 31 nights, you’ll only pay $1,486 overall! Crazy, right? The lesson from this tip is this: If you are EVER looking at booking a stay of close to 28 nights at an Airbnb, play around with adding a couple more nights to save money. If you were planning on only staying 27 nights, you might save money by booking 28 nights (even if you don’t stay the 28th night) thanks to the often-offered monthly discount. 5. You can get the address to the Airbnb by sending a message. Airbnb does not list exact addresses of properties for safety reasons, and you should NOT force your host to tell you their exact address if they’re not comfortable. However, if you do want to get a better feel for the area, you can message them and ask them for more details. Again, try not to make them uncomfortable. Just let them know what your concerns are. The goal is to get the information you need without offending the person who owns the home! Sometimes the host may even give you the exact address so you can look it up on Google maps. I’ve had this happen at least once, and it was very helpful for making a decision. 6. You may be able to visit the place in person BEFORE you book. 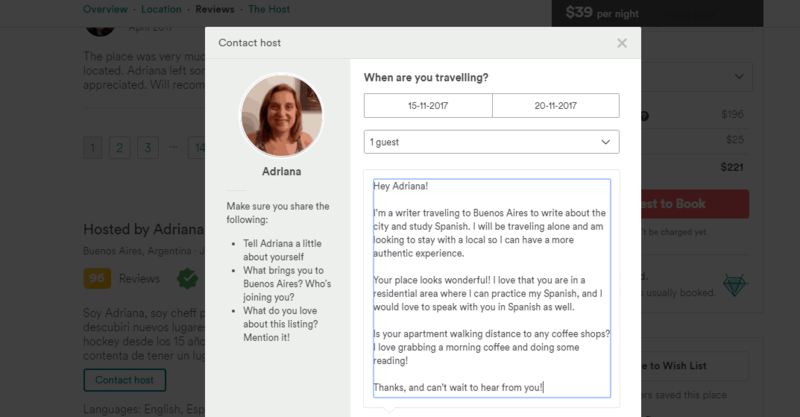 If you’re already in town, you can message the Airbnb host and have them send you their address so you can take a look around before you book. Though I’ve never done this, I think it would be a good idea if you were staying somewhere for one month or more. If you do decide to stay, I still recommend booking via Airbnb instead of handing the host cash. This is not only just the right thing to do (you found them via Airbnb so the company should get some credit! ), but it also protects you against any scams. I couldn’t find anything saying it’s against Airbnb’s terms and conditions. The only official Airbnb statement I found is here. So, from what I can tell, they didn’t outright forbid you from doing it, but they do discourage it. While I was in Toronto, I was messaging back and forth with a host there because I needed another Airbnb as I was extending my trip. Without me even asking, she messaged me her exact address and said I was welcome to come look at the place to decide if I wanted to stay there. I ended up not doing the visit, and booked the place anyway on good faith that it would be a good fit—it was! That’s what I love about Airbnb: You can get a pretty good feel for hosts based on the info in their profile and on reviews left by fellow Airbnb guests. BONUS: You can get $40 to use on your first Airbnb booking here! Yup! 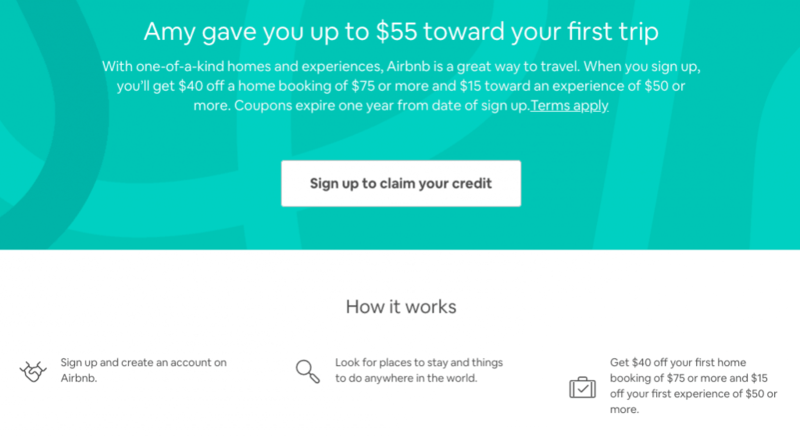 If you use my referral link, you can get $40 in credit to use to book your first Airbnb! I hope my expert Airbnb tips help to save you lots of money. Happy travels! Ask your host for a Special Offer. Use this sparingly! And please, be considerate. Hosts are often relying on their earnings to make a living! Book longer stays to snag a weekly or monthly Airbnb discount. Most hosts offer weekly or monthly discounts on their listings to entice users to book longer stays. If this is enabled, it should show up automatically when you select your dates in the listing’s calendar. Use my referral link to get an Airbnb discount on your first stay. If you’re new to Airbnb and don’t have an account yet, just sign up through this link and you’ll get about $40 of credit applied to your account! Wanna Learn More About Airbnb? You Might Also Like These Posts! Airbnbs vs. Hotels: Which Is Better? Previous article The ONE Travel Tip You Should Follow—or Your Trip Will Be RUINED! Next article Is Solo Travel Lonely?